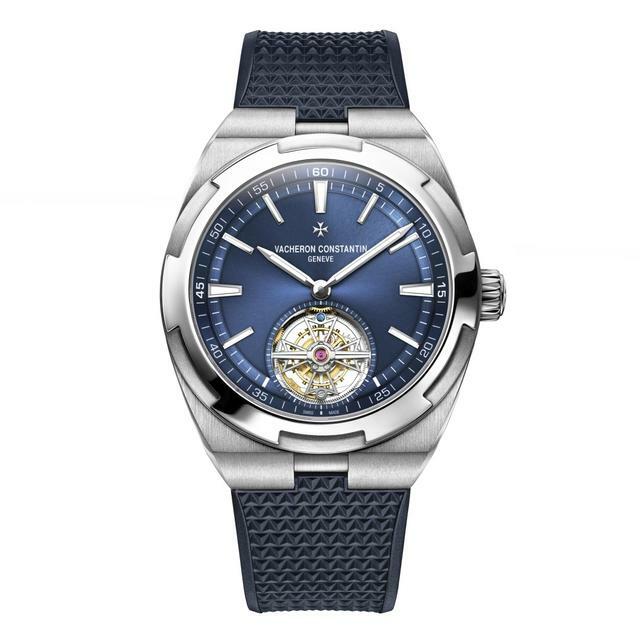 Among its many complicated 2019 debuts during SIHH, Vacheron Constantin’s Overseas Tourbillon may be among its most groundbreaking. 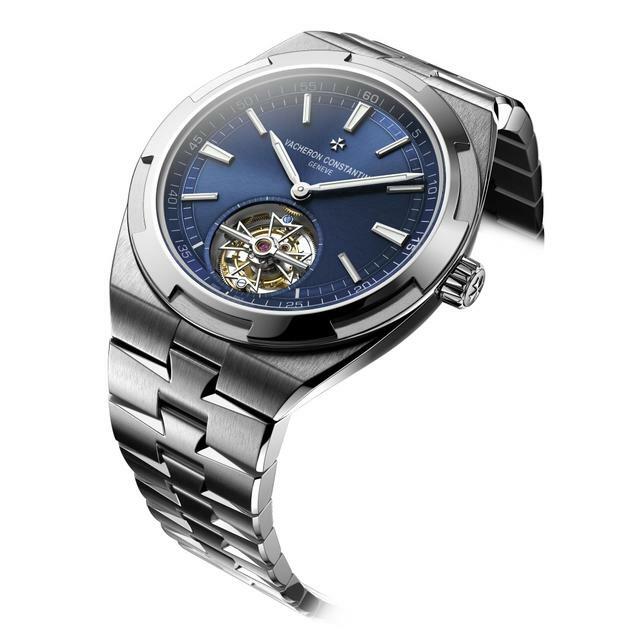 While not one of the brand’s most complex watches, it is the watchmaker’s first-ever tourbillon model in the Overseas collection, and it features one of watchmaker’s newest, technically advanced automatic movements, the ultra-thin Calibre 2160 equipped with a peripheral rotor and an 80-hour power reserve. These features alone allow the Overseas Tourbillon to shine on its own terms, especially given its steel case and multiple-wear options. Each watch offers the possibility of being worn on the included steel bracelet, blue leather or rubber strap. And despite the beautiful blue dial, which we’ve seen on earlier Overseas models, my eyes are drawn to the watch’s back and its tourbillon. 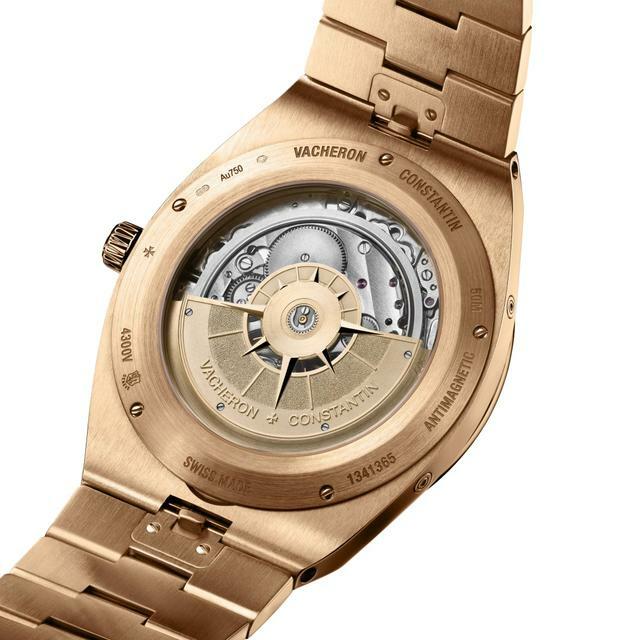 The excellent Caliber 2160, with its extra-long power reserve, is fully visible thanks to the peripheral rotor, itself a vision in engraved 22-karat gold. 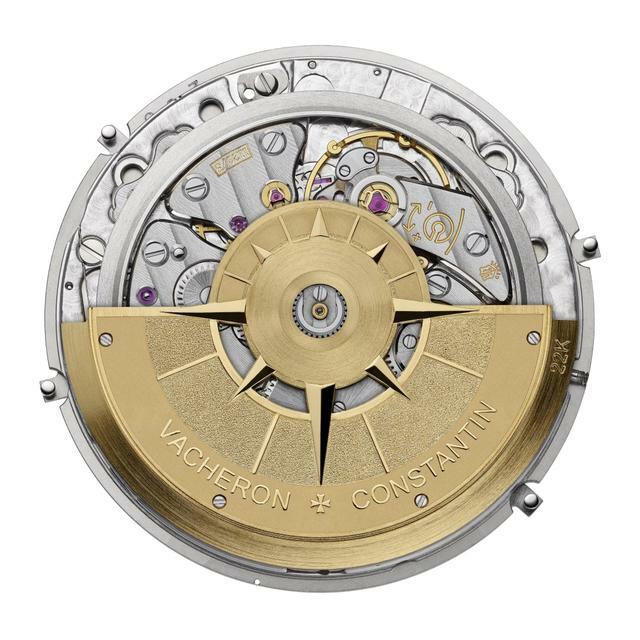 While a few brands are now actively utilizing such rotors, they remain a novel sight on high-end automatic watches. 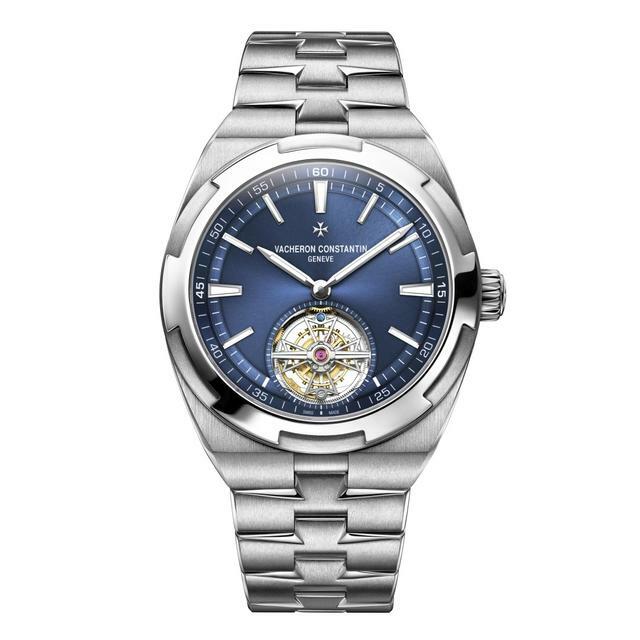 Vacheron Constantin Overseas Tourbillon, showing thin, automatic Caliber 2160 with peripheral rotor. Also visible is the backside of the highly polished tourbillon. 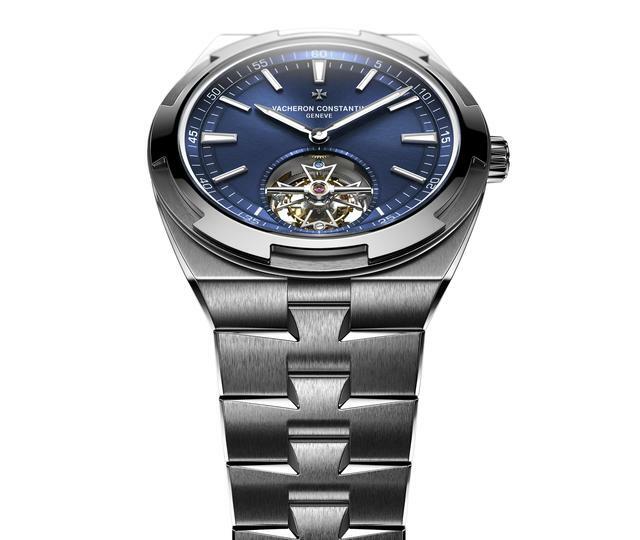 From the front, that tourbillon glows with a carriage bar that Vacheron Constantin says is entirely beveled by hand, a task requiring about twelve hours. 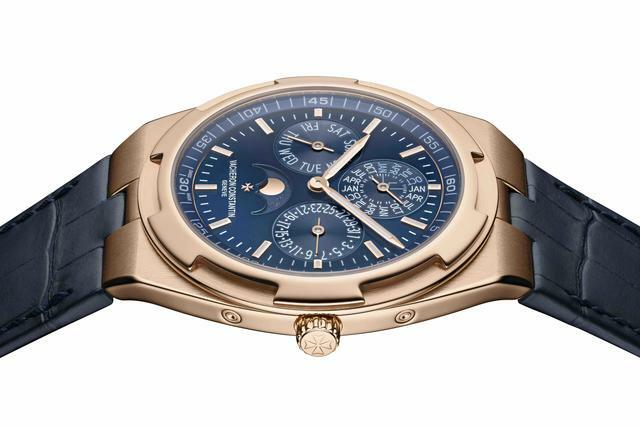 Another of the many blue-dialed offerings from Vacheron Constantin in 2019 is the Overseas Perpetual Calendar ultra-thin. The watchmaker has paired the new blue dial with a 41.5mm pink gold case and an all-gold version with a silver-toned dial. 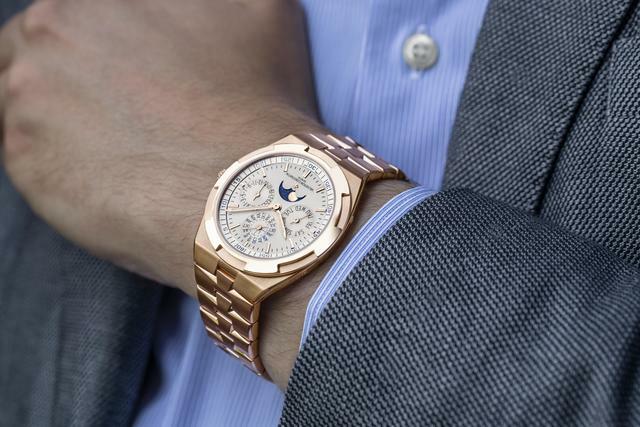 Vacheron Constantin Overseas Perpetual Calendar, now in all-gold. 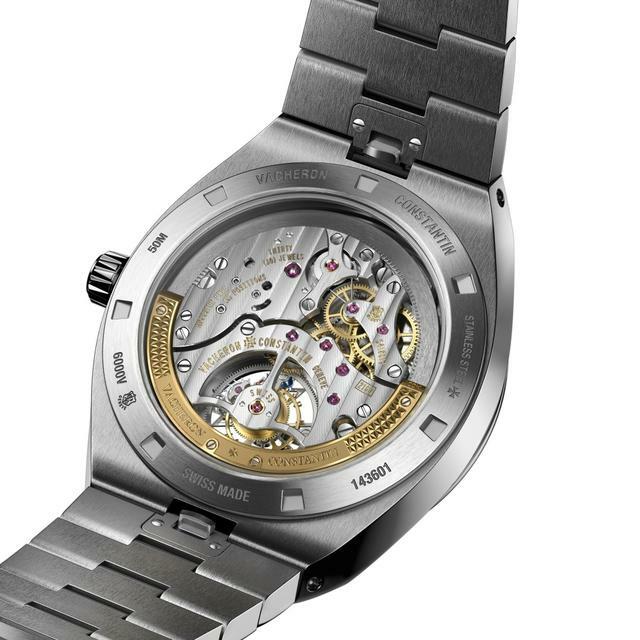 The watch retains its slim case and ultra-thin movement, Calibre 1120 QP, with a 40-hour power reserve, that displays indications of the hours and minutes, perpetual calendar – day of the week, date, month and leap year on a 48-hour counter – along with moon phases. 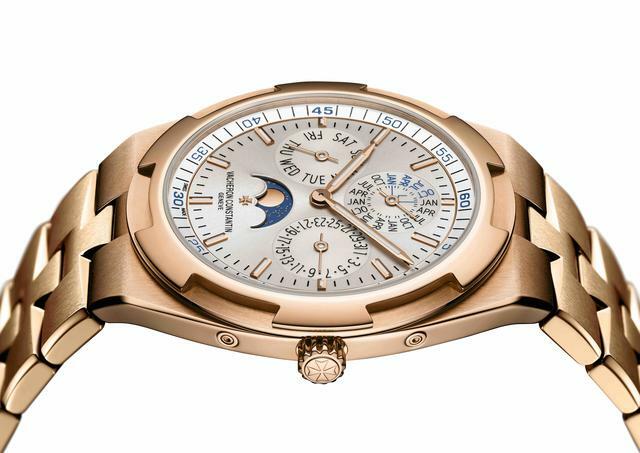 The blue-dial Overseas Perpetual Calendar ultra-thin is fitted with a blue leather or rubber strap, while the version with a silver-toned dial flows into a pink gold bracelet. The bracelet model arrives with two additional straps, one rubber and one alligator leather.